Welcome to Psychic Knight's Kooma Healer page. Your in depth reading will be professionally delivered with ease and accuracy, in a practical way in which you will be able to relate to now and in the future. Gaining insights, into yourself and those around you it will cast a positive light over your future options. I immediately tailor make your reading knowing which deck to choose from, to many of the different tarot readings and layouts giving you the best results. I will answer direct questions; should you require I will a fuller deeper reading, yet wit precise accuracy. 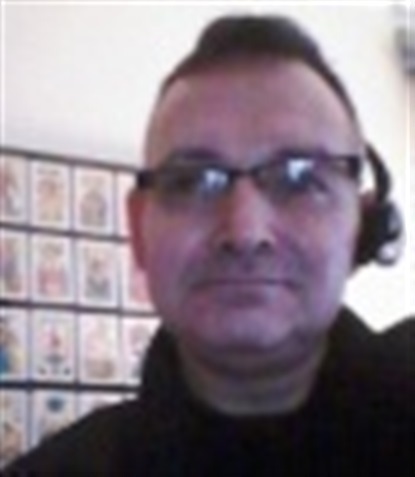 Only using positive energy you can rest assured it will leave you with the answers sought, yet with even more options open as a broader outlook on your future is given, we can tune into a speciality area, I look forward to connecting with you get ready for clarity and clairvoyance. An accurate reading, with empathy understanding and deep insight. I remain objective, relying on clairvoyance. You will be left uplifted and optimistic about your life, as light is cast over your future. I am naturally psychic; whilst learning towards my feminine side and understand more emotions and feelings. I am like the hermit constantly seeking psychic and spiritual awareness. I found from a young age could give information to people without any effort, I had to teach myself to learn when is appropriate to give detailed information. Now I'm much more mature it is part of my daily like giving. I have studied many formal psychic and advanced medium ship courses. Yet I'm old fashioned in a way and still say the born naturals are the best. I feel that every accurate reading is memorable. Its always cool to be able to give accurate information to a person whom you've never met before. I was taught that your only as good as your last reading, thus it enables me to give the very best every time. Kooma was recommended to me via my close private psychic circle. It is the fairest site looking after its customers and readers. Healing is 100% pure energy; and I am a strong believer in distance and remote healing. Wow I just had the most amazing reading from this lovely beautiful soul. Picked up on my gran around me. And I’m so happy to hear of the outcome of my situation. Thank you thank you. Thank you very much for your care, time and reading. I really do appreciate it, thank you.